Those planning to travel to Morocco in Spring 2017 and Greece in summer 2017 as part of Housatonic’s Study Abroad Program can set up a payment plan or use a down payment to save their spot. These trips are open to students, faculty and staff. The approximate cost for Morocco is $3,295. Students are able to choose from monthly, weekly and biweekly plans. Students can make a deposit and make lower payments at a lower price. Morocco does not have an exact date yet on when they are departing, but one should be posted soon. Some of the places that students will be visiting are Casablanca, Rabat, Meknes, Fez and many more. The approx. cost for Greece is $3,705-$3,945. The exact dates for this trip are June 20-29, 2017. To hold your spot make sure you make a payment of $95. This also has the payment plan mentioned above. Students will be visiting the cities of Athens, Olympia, Epidaurus and more. These trips include roundtrip airfare, accommodations, tour transportation, regional style meals, curriculum integration, expert local guides, sightseeing and entrances to museums, art galleries etc. 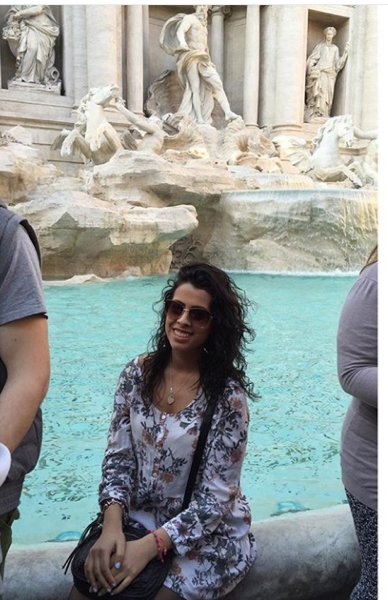 Sophomore Jailene Cuevas went on two trips from the study abroad program. She visited Spain in Spring 2015 and Italy in Spring 2016. “It gave me a new outlook on traveling and has motivated me to learn more things about other countries. With their affordable payments plans I was glad I was able to go twice,” she says. Information sessions are available on the following days and times, in Beacon Hall, Rm. 222: November 7 at 12:30 p.m., November 30 at 2 p.m., and December 6 at 2 p.m.